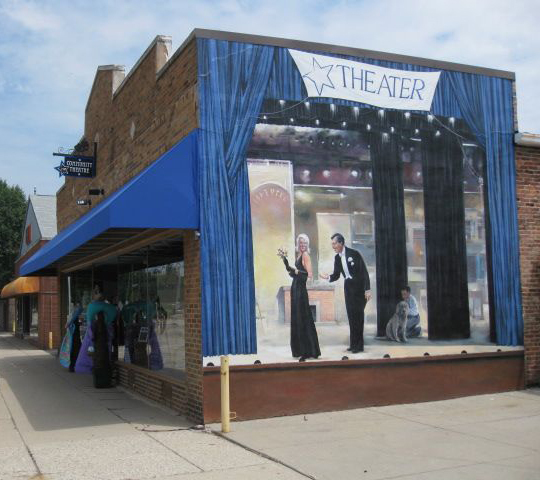 The new X*ACT Arts Center in Xenia invites you to attend a planning reception at the X*ACT Theater at 45 E. Second Street on Saturday, January 19 at 1 PM. If you are not a local artist, artisan, or fine crafter, please forward this information to your friends who are. Our goal is to show you our space and to get your ideas on how to configure it. We also are open to suggestions on how to set up the operation of the new Arts Center. We are looking at several ways to operate, and we are considering a cooperative arrangement with rental space and a small operating commission. You may have better suggestions and we'd like to hear them. We hope to make the operation of the Arts Center as compatible as possible with the needs of the displaying artists, so we need your contributions to our planning process as we move forward with our goal of actively promoting the Arts in the Xenia area. Since the gathering follows our monthly Board meeting, a number of X*ACT Board members will be on hand to greet you and hear what you have to say. We'll have some wine and cheese, and informational handouts, of course. We look forward to seeing you on Saturday the 19th. While you are here, you may fill out an application of interest in future display space. There is parking on the west side of the building and across the street. Please RSVP via email or by calling the theater at 937-372-0516. They have done a great job. I went to the first few shows when the theater was a corner of a thrift shop. They have worked steady and carefully to built their arts center up. I couldn't believe the improvements when I returned a year or so later. More power to them!